Update: We're hearing that the update is rolling out now - hit Settings > About phone to see if it's available on your device! It looks like Gingerbread is finally getting ready to (officially) make its way to the Droid Charge, and, judging by the build number (EP4), it seems to be a slightly updated version of the build that was leaked earlier this month (EP4P). The update will finally catch the device up to its smartphone peers in terms of Android version, but it will also bring the usual round of bug fixes and enhancements, as well. Ah, the Droid Charge -- the Droid that never should have been. 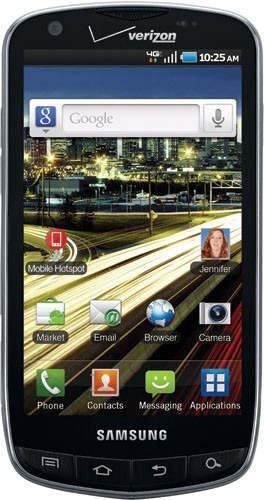 It was the first LTE Droid to hit Verzon and... well, its accomplishments stopped there. In fact, this once-flagship device is still running Froyo, rendering some of its hardware basically useless (like the front facing camera). Fortunately, Gingerbread may be just around the corner for those who bought into the Charge hype, as a new leaked build just landed on MyDroidWorld, courtesy of P3Droid. 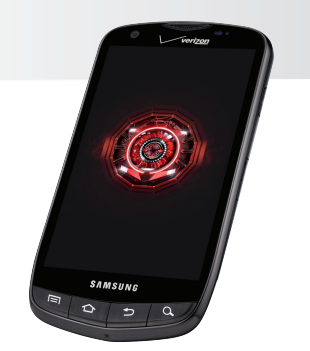 The Droid Charge was the first 4G phone with Droid branding to hit VZW, and as such, has been the flagship phone of the Droid lineup since its release back in May. If you were to walk into a Big Red retail store and buy the Charge right now, you would leaving with $300 less than you went in with, and, lets face it, who wants to drop that much coin on a new phone? If you're a Droid Charge owner, there's a good chance you're wondering when Gingerbread will be coming your way. After all, we've heard many Gingerbread rumors lately - but not a mention of the Charge. Until now, that is. Well known Android modder P3Droid has apparently gotten his hands on a leaked version of Gingerbread for the Charge, hooked up the video camera, and proceeded to show us what to expect from the update - including a demo of Netflix actually working. 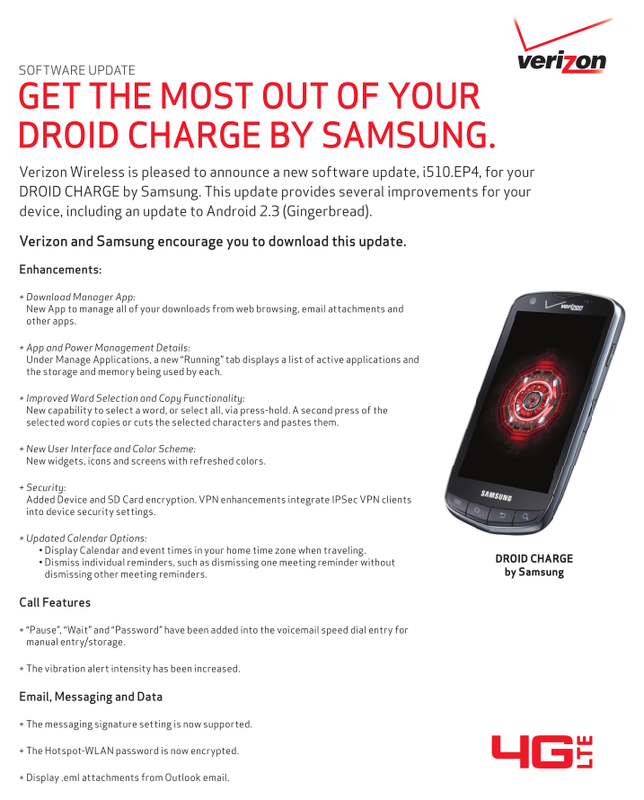 It looks like VZW has an update ready for the Droid Charge that should be hitting handsets pretty soon - but it's not Gingerbread. It's mostly a bug fixer, so don't expect anything too astounding to come from it, although the info on Big Red's site does make mention of improved switching between 3G and 4G LTE, which was one of the biggest gripes we had with our review unit. Other fixes include improved battery life, improved GPS performance, an updated email folder structure, better email and calendar sync with Exchange, and a lot more.